The award-winning Rockford High School Jazz Band will be playing their annual Spring Swing event on Friday, May 3. This annual celebration of Jazz has become a mainstay in the Rockford High School band calendar and will begin at 7 p.m. This year the concert will feature the RHS Jazz Band and (for the first time) the RHS Jazz Band 2. In addition, and per tradition, there will also be opportunity for Jazz Band alumni to sit in and jam on a song or two. The concert will be held at the Rockford Freshman Center, 4500 Kroes N.E. The room will be set up as if it was a Jazz Club in New York City, and there will be plenty of floor space for those who want to dance! Desserts and beverages will be provided. Tickets are $10 for adults, $5 for students and seniors and will be available at the door. Once again, Aria Show Technology will be providing sound reinforcement, decoration and acoustic setup. 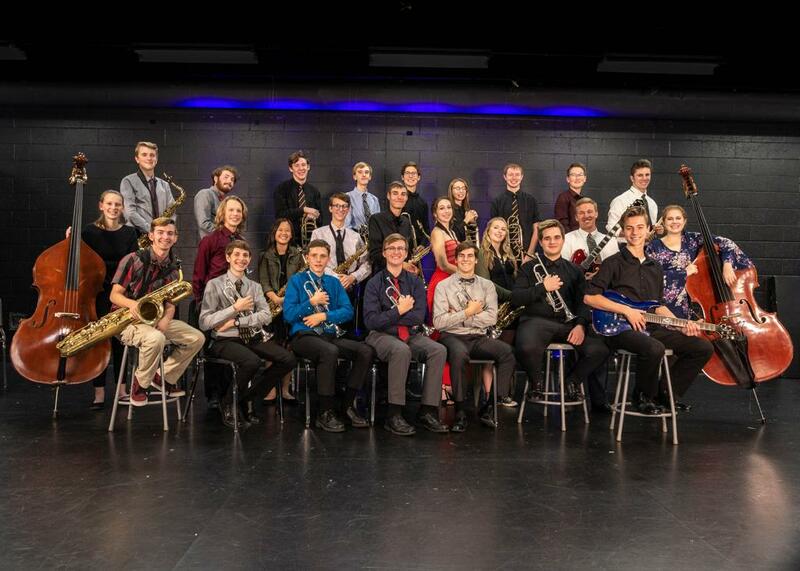 The RHS Jazz Band is fresh off a second place showing at the Michigan State University Essentially Ellington Jazz Festival, while the Jazz Band 2 is in its first year of existence. Directed by Mr. Evan Bahm, the Rockford High School Jazz Band Number Two is in its first year of performance at Rockford. The band meets once a week after school to practice and has participated in multiple festivals and concerts this year. Directed by Mr. Cullen McCarthy, the Rockford High School Jazz Band is a co-curricular band activity, meeting once a week outside of class times to practice, and playing festivals and competitions throughout the winter and spring. In 2017, the band won the Michigan State University Essentially Ellington festival and in 2018 was invited to perform at the Detroit Jazz Festival over Labor Day Weekend. The Detroit Jazz Festival is the largest free Jazz Festival in the world.